Financial assistance for buying your new Car. We can help you get that car that you want! 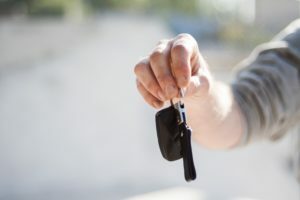 Once you have decided on which vehicle to purchase from AJS Auto Sales, our finance department can help you find a plan that will work for your needs. Our finance department has agreements in-place with financial lenders who, in conjunction with AJS, are enthusiastically motivated to understand your needs and arrange a financing deal that suits your financial situation. If you are worried about your credit score, don’t fret. We have partners that will finance any customer. Anyone with a bad credit score, no tangible credit history, people in bankruptcy proceedings, people in the midst of a divorce, new Canadians, self-employed/non-conventional income sources, etc. We even have lenders who will finance older, high-mileage used cars for customers. Should your credit score be average, above average or excellent, we can place your loan with class “A” Canadian financial institutions which translates into very competitive rates for you. Through our financial partners, AJS also offers gap insurance on any financing deals to ensure our customers are not caught with a shortfall position should your vehicle be written off by an insurance company. Curious to see what you will qualify for? Fill-in this approval form, click the submit button and we will contact lenders on your behalf to determine the payment plan you are approved for. Our financial partners will then work with you to create a financial program that will suit your needs and we’ll work with you to put you in the special vehicle you desire. Whether you have good, bad or no credit, have gone through bankruptcy or divorce or if you are a new Canadian, student, or self-employed, we can help you get a car! Note: AJS Auto Sales will keep your personal information confidential and only for the exclusive purpose of AJS marketing or to an obtain vehicle loan on your behalf. We do not sell your information to marketing organizations.